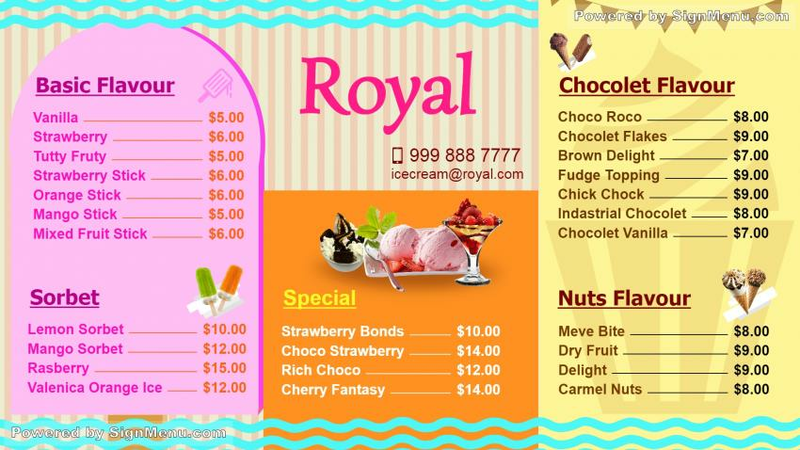 This template is best showcased on a digital menu board indoors of the parlor, wherein it can entice and allure customers from all walks of life. The economical pricing of the offerings would also help in garnering impulse purchases by the customers. Ice cream parlors the world over are known for their innovations in their menu. Also, digital software advancement in this regard has enabled Ice cream parlors to control operations and update their menu content by just a computer remote. This template is ready for use and download.